The Kwara State Government has approved contracts for the construction of the over 61 kilometre Kaiama-Kishi Road in Kaiama local government area of the state at a total cost of 7, 946, 235,663.58 which is to be executed in three lots, while the interstate road between Kwara and Oyo states will also be executed in three lots. Addressing the press in Ilorin after the state executive council meeting, Secretary to the state government, Alhaji Isiaka Gold, said that the state government had proscribed the Offa and Erin-Ile branches of the National Union of Road Transport Workers (NURTW) and Road Transport Employers Association of Nigeria (RTEAN). Alhaji Gold told journalists that the measure was arrived at after due consideration of the white paper on the report of the Judicial Commission of Enquiry into the Offa and Erin-Ile crisis. Gold also said that the council has directed that a platform for peaceful and harmonious relationship between both communities be instituted by the centre for Peace and Strategic Studies, University of Ilorin with members of Erin-Ile Progressive Union and Offa Descendants Union, political and religious leaders, among others are expected to be participants. According to him, council-in-session observed that both NURTW and RTEAN were implicated in the immediate causes of the communal crisis between both communities due to their intransigence. The proscription, he explained, would subsist until the unions demonstrate that they have imbibed the spirit of cooperation and peaceful co-existence. The Ajegunle Motor Park at Offa and the Idi-Agba Motor Park in Erin-Ile, according to the SSG have been closed down because they were major sources of recurring rancor between both communities while the State Ministry of Local Government and Chieftaincy Affairs has been directed to ensure that only Motor parks which comply with the statutory 5 kilometres between them are reopened. Gold added that the council in session was optimistic that the measures would serve as “foundation for long-term peace and harmonious relationship between Erin-Ile and Offa communities”. The State Government, the SSG also said, urged all communities in the State to realize that dialogue and spirit of give and take are necessary precursors to peaceful coexistence. According to him, the State Government has restated its position that economic integration between Erin-Ile and Offa and indeed all neighbouring communities is a veritable tool for necessary peace and harmony”. Meanwhile, Governor Abdulfatah Ahmed of Kwara State has called for the strengthening of the electoral process in order to make governance more meaningful to Nigerians. 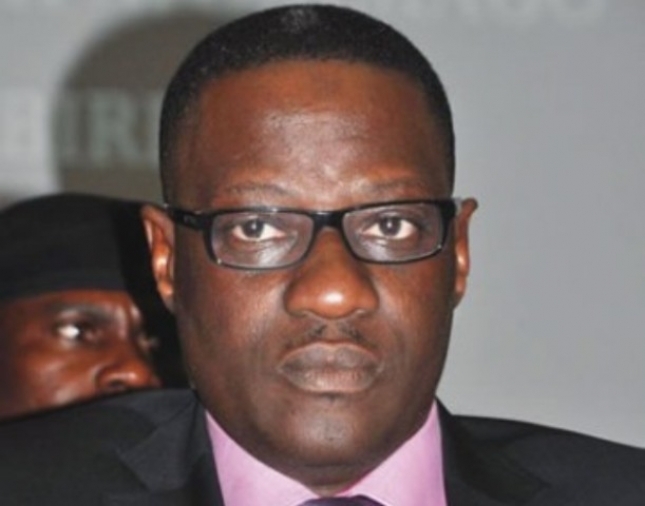 Governor Ahmed made the call during the swearing-in of the Chairman and four newly appointed Commissioners of the Kwara State Independent Electoral Commission (KWASIEC). Dr Ahmed noted that credible elections were critical to good governance, especially at the local government level where it could impact on the people and sustain confidence in democratic governance, hence his administration was working out modalities that would make local government administration more result oriented. “My administration will soon outline modalities for greater synergy with the local government council to ensure that impactful socio-economic projects are implemented at the grassroots level on an efficient and effective basis”, he said. The Governor stressed that political office holders entrusted with the people’s mandate must always fulfil their convenant by making the lives of the people better. Governor Ahmed charged members of KWASIEC to allow their individual experiences bear positively in the conduct of free, fair and credible elections by making equity, transparency and accountability their watchwords. Dr Ahmed promised that his administration would always render logistic and other support that would make the commission work efficiently. The Chairman of the KWASIEC, Dr Uthman Ajidagba, speaking on behalf of other members, pledged that the commission would deliver on its mandate of conducting credible elections. Other members of the commission are: Barr Adbulsalam Tejidini Ahmed, Barr Azeez Akinlani, Barr. AbdulRauf Ishola Ajao and Alhaji Ishola Ajibade.